The Danish Safer Internet Centre exists to promote a safer and better use of the internet and mobile technologies among children and young people. The Media Council for Children and Young People (MCDK) has acted as awareness centre in Denmark since 2004 and before that as the Danish SAFT partner from 2002 to 2004. In this period, MCDK has established itself as an important resource and knowledge centre for children and youth's use of the internet, computer games and mobile devices with a clear mandate in Denmark to educate on such issues. Besides serving as a coordinator for the Safer Internet Centre Denmark (SIC DK), the key objective of the awareness centre (MCDK) is to establish partnerships with stakeholders (e.g. industry, NGO's, educational institutions), advocate the youth perspectives in national and international forums, and to devise events, dialogue campaigns and tools to empower and raise awareness among children and youth, professionals, parents and the public in general. Furthermore, MCDK is the coordinator of the annual Safer Internet Day (SID) campaign in Denmark. The Centre for Digital Youth Care is a registered non-profit non-governmental organisation, and is one of Denmark's leading organisations for online counselling aimed at young people. Since 2004, we have worked to create, provide and guarantee professional help through digital media for vulnerable people. We are associated with YMCA's social work in an effort to strengthen the socio-educational initiatives regarding vulnerable children and young people in Denmark. Our focal point is our online youth counselling, Cyberhus, which implements approximately 8,000 consultative interactions with vulnerable young people each year. Save the Children organisations operate in more than 120 other countries, and Red Barnet/Save the Children Denmark has worked for the benefit of children for more than 70 years. Save the Children Denmark is a democratic organisation of committed volunteers organised into 65 local branches. We save children's lives. We protect and strengthen them. We fight for their rights. We work to prevent violence and sexual abuse of children. As part of our child protection programme we deliver anti-bullying projects and safety awareness for children in the online world. We run a hotline against child abusive online content and through our helpline SletDet (Delete-It) we offer help to young people who have experienced online sexual harassment. 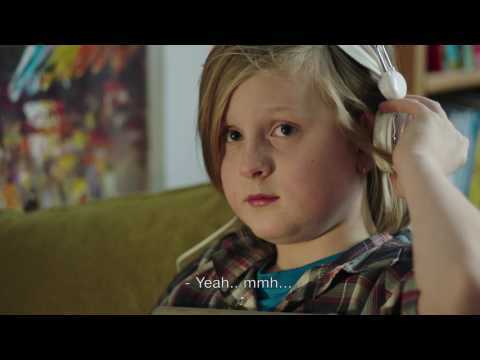 The Safer Internet Centre Denmark (SIC DK) recognises the fact that children and youth's perspectives are of key importance to a successful awareness-raising campaign and for developing educational resources. In 2016, SIC DK set up the SoMe Youth Panel - a panel of youth ambassadors aged 13-17 years, who represent different demographic groups. The aim is to create (public) debate on children and young people's online behaviour to achieve higher awareness among children and young people on the need for critical thinking of their own digital behaviour, and to provide recommendations on how parents and adults in general can engage in and contribute positively to children and young people's life with digital media. Efforts are concentrated on advocating the youth perspective both in the agenda setting of national and international forums, as well as actual participation of Danish youth representatives where possible. In June 2017, the SoMe Youth Panel presented their recommendations about digital youth life for children and young people, parents, professionals, politicians and industry. During workshops, the panel identified nine topics important to them and their peers. For instance, privacy, cyberbullying, image sharing and hate speech. Corresponding to the activities in the SoMe Youth Panel, a close collaboration was carried out with the helpline regarding facilitation of youth participation activities on Cyberhus. The online debates and surveys with young people on Cyberhus gave valuable input to the work with the recommendations, and the collaboration between the panel and the online chat will continue. Since 2009, Safer Internet Centre (SIC) Denmark has contributed to the organisation of the Danish version of the Internet Governance Forum (IGF Danish), which is organised by the Ministry of Business and Growth in collaboration with various organisations. For Safer Internet Day (SID) 2017, the Media Council for Children and Young People produced a "Parents as digital role models" campaign, which contained, among other resources, three humorous video spots about privacy, sharing of images without consent, and offline presence. These videos had a total of 134,955 views (Facebook, Vimeo and YouTube) and they have been translated into English, Portuguese, Estonian, Norwegian and Latvian. On an annual basis, the Centre for Digital Youth Care conducts 6,000 digital counselling sessions with vulnerable children and young people via the helpline, and do class lectures on internet and mobile ethics for a total of 15,000 pupils, professionals and parents. Save the Children Denmark runs the hotline and from July 2016 to December 2017, the hotline received more than 2,000 reports and the hotline staff evaluated more than 12,000 pictures. In Spring 2016, the online counselling "Erase it" was released, and 750 children and young people received help from the counsellors (July 2016 – December 2017). As a knowledge hub and mediator of the newest developments within the area of children and young people's use of online technologies, the Safer Internet Centre (SIC) Denmark has established a broad collaboration with representatives from academic institutions, industry, governmental bodies and law enforcement. The collaboration with national stakeholders is an important resource and knowledge base for the Safer Internet Centre Denmark, just as the centre plays an important role in the organisational and political landscape of children and young people's use of online technologies in Denmark.